My 11 year-old son had a speaking role in his school Christmas play this year. One of the more comical events of the night was the stage team trying to get props on and off the stage between acts (including the time machine that we build in my backyard). The fact that the play was broken up into acts got me thinking about the fact that God’s saving work in our lives is broken up into acts as well; 3 actually. And sometimes we forget that, which has implications. One of those implications is that we don’t see our need for the gospel, on a daily basis. We know that salvation is by grace alone, through faith alone, in Christ alone – and it is a result of believing the gospel (Eph 1:13). There are probably no objections to that truth. The real question comes in when we ask “what is biblical salvation?” (Eph 2:8-10) Many of us grew up using the terms salvation and justification synonymously. But justification is just Act 1, in God’s 3-Act play of salvation. Justification is a single event, a legal status change from enemy of God to His child, whereby a sinner is justified before God; their sin is forgiven and they are declared righteous based on Christ’s sinless life and substitutionary death, which is offered by God’s grace and received by faith. The result is that the Holy Spirit takes up residence in the new believer and they are born again into the forever family of God – amen! (Rom 3:2-24) We understand that justification is by faith – by believing the gospel. But justification is not God’s entire plan of salvation. 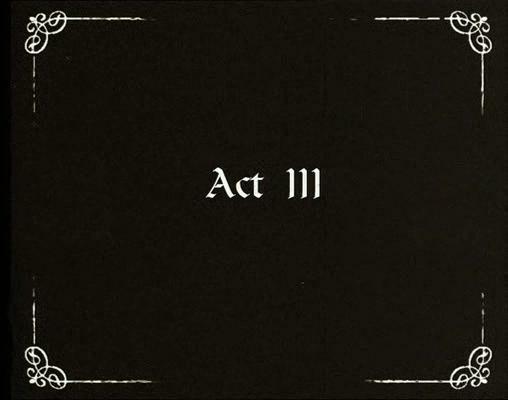 Let’s skip the second Act for now and talk briefly about Act 3. Most of us also understand that the 3rd Act of salvation, glorification, is by grace through faith in Christ. After all, how else could it happen. Our human effort certainly couldn’t transform us into sinless heavenly beings that will live forever in the presence of God? Obviously glorification is by grace alone through faith alone. (Rom 8:29, 30) It just couldn’t be any other way. However, where many of us lose sight of the gospel, is in the 2nd Act – sanctification. This is where the saint (justified sinner) begins to take on the life of Jesus practically, after being granted His life legally in justification. This time between our justification and our glorification is where we live the bulk of our lives as believers here on earth, and it is precisely the place where many of us lose sight of our need for the gospel. As we begin to embrace terms like the “Christian Walk,” we naturally conclude that we are the ones walking and that Christ and the Holy Spirit are our helpers, as we “do our best” to obey God. We begin to think and act like it’s up to us to “walk worthy of our calling” as Christians. Christian brothers and sisters, we must resist the temptation to reduce the role of Jesus from Savior to role model. Because we remain sinners, our need for a Savior never diminishes. That means that my best acts of obedience are still corrupted by my sin. Even on my best day, I can’t be like Jesus; and only His perfect works are acceptable to the Father. The glorious Good News of the gospel is that, as a believer, His works are my works. That means that I am wholly acceptable to God based on what Jesus did for me. That is true, not just the day I was converted, but every day. That means I can rest from my striving. Because all 3 Acts of salvation are by grace alone through faith alone, even my sanctification; I am truly free. I am free to love Jesus passionately. I am free to walk in loving obedience fearlessly. I am free to take radical risks for His glory without the need to neurotically wonder if I am good enough or if I am doing enough. As the precious hymn says, even in my failures, I am “clothed in His righteousness alone, faultless to stand before the throne.” As that truth becomes real to my heart, Philippians 1:6 takes on new meaning, “he who began a good work in you will bring it to completion at the day of Jesus Christ.” He is faithful to complete all 3 Acts of His salvation plan on my behalf. That is good news.